The Great Science Share for Schools is a national campaign to engage young people in sharing science with new audiences. It started in Manchester, and was introduced to Islington in 2018 by our local PSTT cluster, based at Vittoria Primary School. 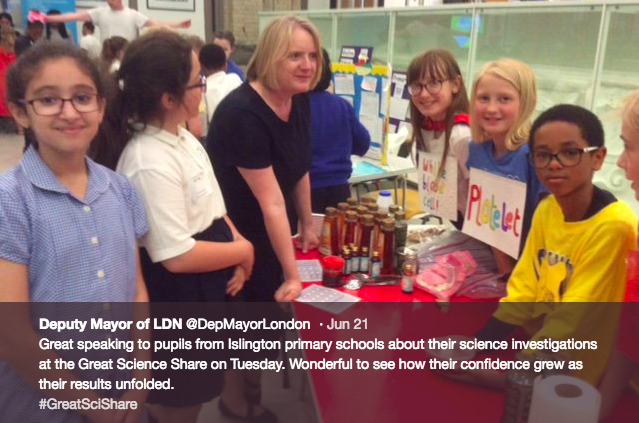 Hosted by London Metropolitan University, teams of 8 children from Islington schools each brought a science project or investigation that they had worked on to share with other children. Several of our Science for Life schools participated, sharing ideas beforehand in a hub meeting and offering each other advice on what to do and how to do it. The participating children had thought carefully about how to share their science learning in interactive and stimulating ways – from balloon racers to blood modelling; coat hanger clangers to fruity batteries. 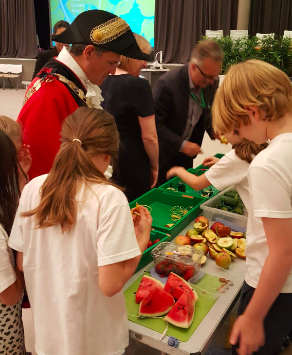 Not only did they share their learning with other primary school children, but their stalls were also visited by secondary pupils, university students and even the Mayor of Islington and Deputy Mayor of London! 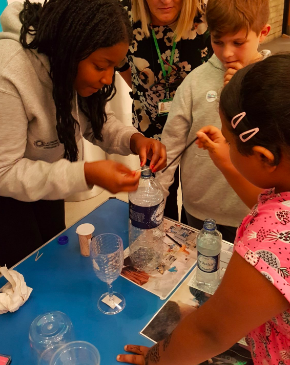 As with their experience at the Cheltenham Science Festival, the children gained a great deal from communicating their science learning with others – confidence, improved explanations and a real sense of achievement.